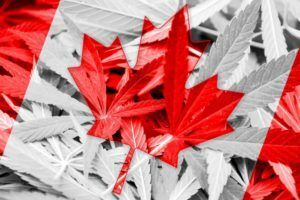 Legal adult-use sales in Canada will reach 4.3 billion Canadian dollars ($3.3 billion) in 2019, a new report from Deloitte predicts. That’s on top of up to CA$1.8 billion in estimated medical marijuana sales. Deloitte surveyed more than 1,500 current and likely cannabis consumers across Canada to gain insights into the products they would be interested in, as well as where and why they would purchase them. Product quality, price and safety will be important determinants in the legal market, according to the survey, but only 16% said a familiar brand would persuade them to purchase legal cannabis. The survey also found that one-third of recreational cannabis consumers would buy products online. Cannabis legalization is expected to have a negative impact on alcohol sales. 27% of marijuana consumers said they would grow their own. Consumers will buy cannabis more frequently – and spend more – after legalization. Consumers expect to purchase most of their products at physical retail locations. 63% of consumers said they would purchase marijuana through legal channels.